Prior to European settlement, Arkansas was inhabited by the Caddo, Osage, and Quapaw people. A variety of European explorers visited the region including Hernando de Soto in 1541, Jacques Marquette and Louis Jolliet in 1673, and Robert La Salle and Henri de Tonti in 1681. Early settlers, including fur trappers, began moving into Arkansas in the early 1700s. During the colonial period, Arkansas changed hands between France and Spain but neither colonial power showed any real interest in the remote settlement. Napoleon Bonaparte sold French Louisiana to the United States in 1803, including all of Arkansas, in the transaction known as the Louisiana Purchase. Following the purchase, the balanced give-and-take relationship between settlers and Native Americans began to change all along the frontier, including in Arkansas. Following a decision to over allow slavery in the territory, the Territory of Arkansas was organized on July 4, 1819. Gradual emancipation in Arkansas was struck down by one vote, the Speaker of the House Henry Clay, allowing Arkansas to organize as a slave territory. When Arkansas applied for statehood, the slavery issue was again raised in Washington DC. 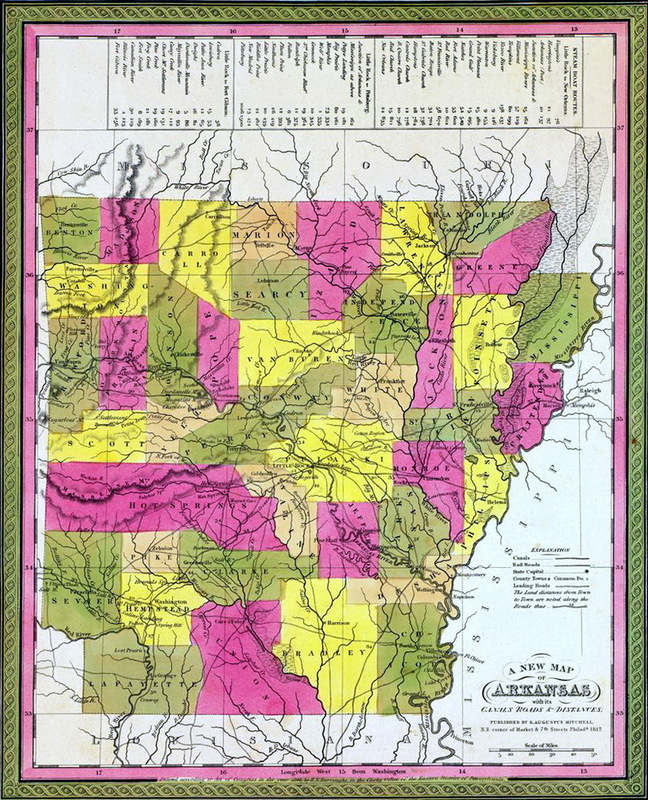 Congress eventually approved the Arkansas Constitution after a 25 hour session, admitting Arkansas on June 15, 1836 as the 25th state and the 13th slave state.